Turn website visitors into customers! Let your website visitors call you for free, from your website! 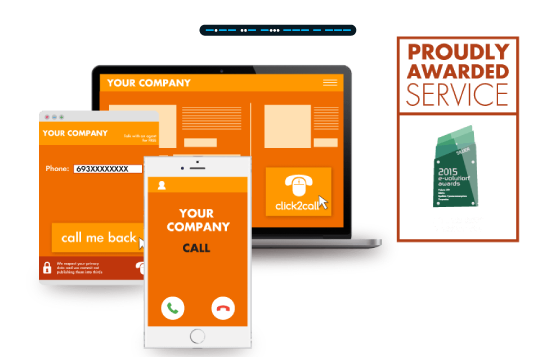 Click to call improves online sales conversion rates, reduces Website abandonment and delivers higher customer satisfaction and better customer support. Why use Click to Call? 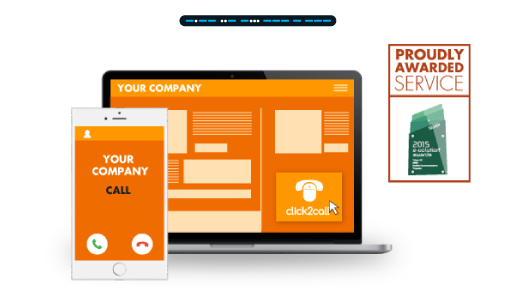 Click to Call increases sales, improves customer satisfaction and reduces shopping card abandonment. Click to Call can also be applied on printed materials such as brochures, outdoor campaigns, product packaging as a QR Code. Click to Call can be applied with impressive results in Websites, Social Media pages or newsletters as a clickable banner. Click to Call is a pay as you go service. There are no setup fees and hidden costs. You only pay for the calls you make. Please find details at rates calculator.